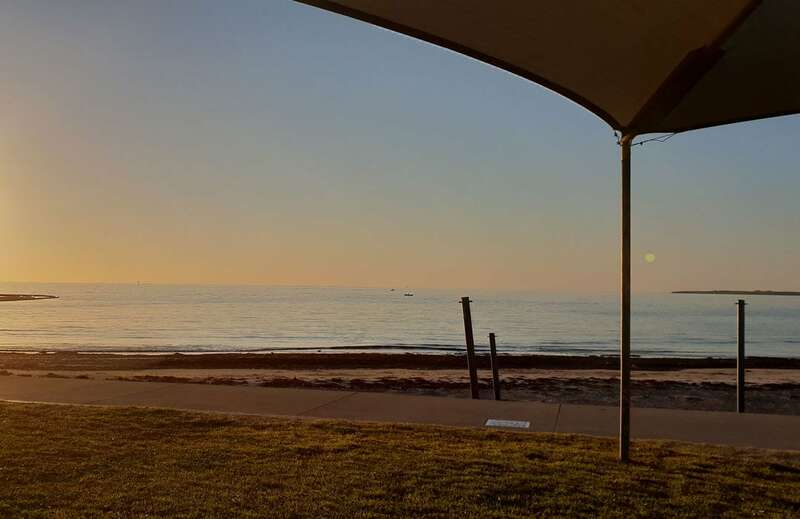 A shady site may be your wish for your camping or caravanning holiday, with an option of one of our 18 powered, AstroTurfed sites. The AstroTurf is great for camping as it can be swept easily and is soft on the feet. When it comes to pitching a tent, pegs can be hammered straight through due to the AstroTurf’s elastic-like fibres, so when the pegs are pulled out the turf will spring back, no holes. Our large, amenities block featuring laundry, private disabled toilet/shower, and baby bathroom are cleaned daily. 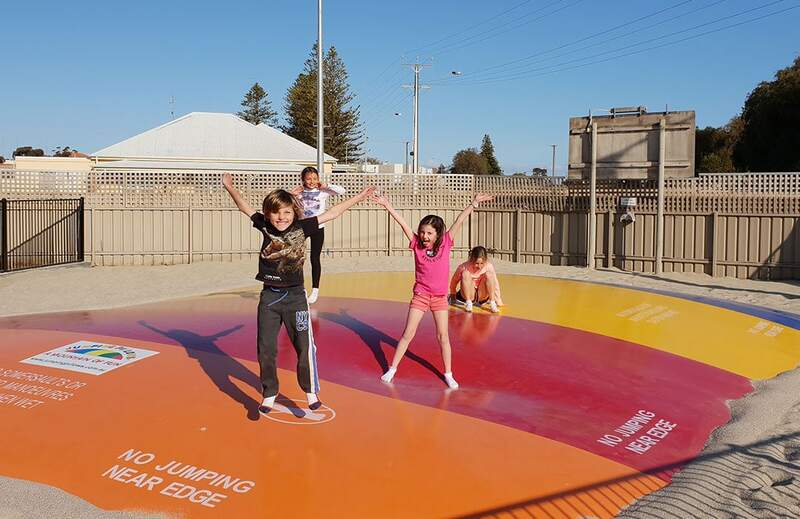 Let the kids spend the day on the jumping pillow, while you sit back and relax right by the beach. For your catch of the day, our fish cleaning facilities and barbeque and camp kitchen are available free of charge. 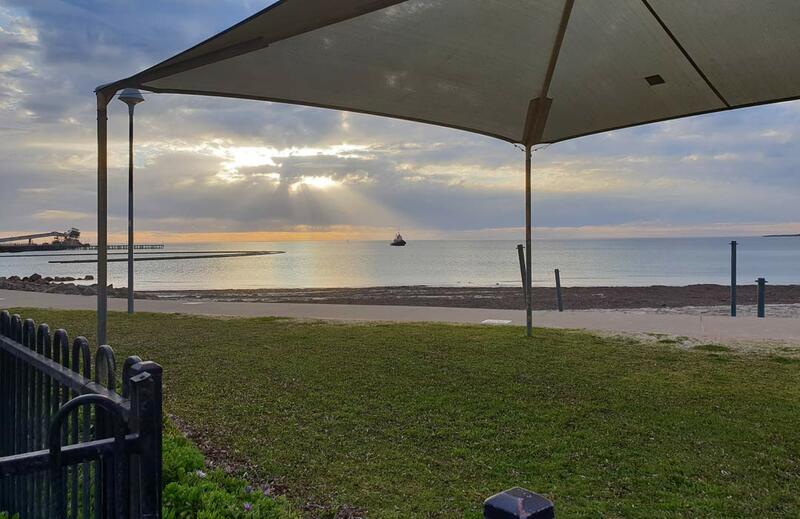 Our park is in walking distance to main street shopping district, hotels, restaurants and local jetty. 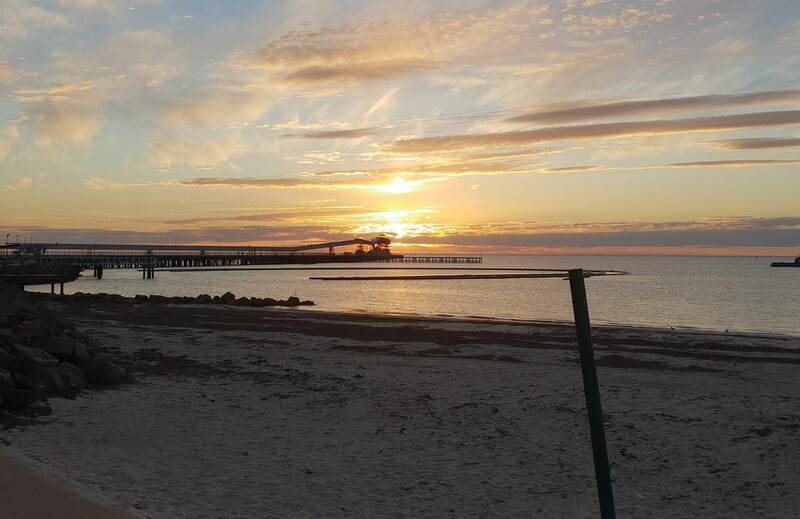 Wallaroo is a popular holiday destination for both beach lovers with its crystal clear water, and budding historians with the towns extremely rich history. Surveyed in the late 1860s, Wallaroo was names are W.W Hughes’ Wallaroo Station, located east of the smelting works site which was established in 1861, following the discovery of copper ore at the nearby Wallaroo Mine (Kadina) and Moonta. 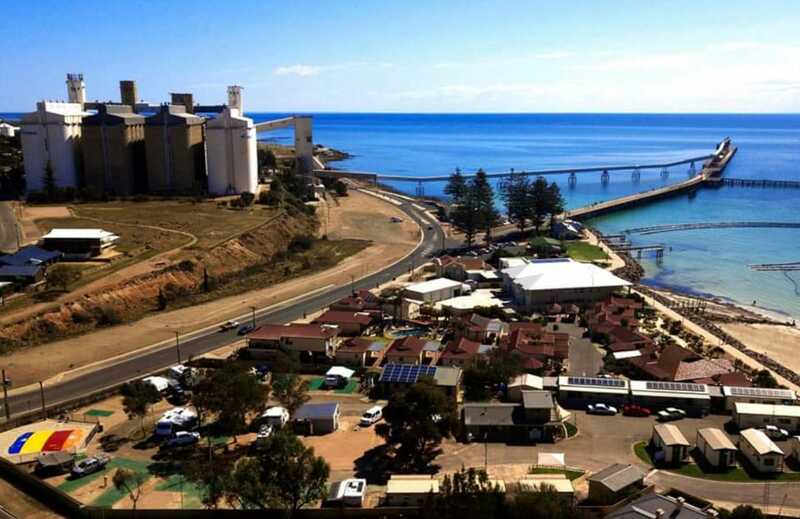 The smelters were responsible for the development of the town, and with its modern deep water jetty, large grain silos, bulk loading facilities and superphosphate production, Wallaroo is not the major port on the western coast of the Peninsula, and is now one of the busiest ports in SA!